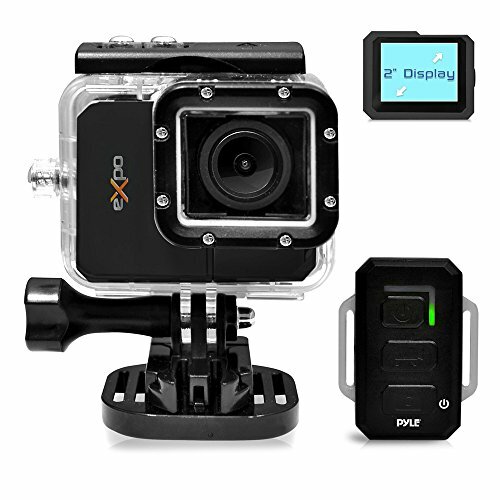 Get ready to enjoy HD Hi-speed action with the Pyle eXpo! It features today's latest ground-breaking technologies designed to capture all of your breathtaking and jaw-dropping action! You'll be able to do it all - capture images, record video, download the app and share. Give everyone a front row seat and put on a show with the eXpo! 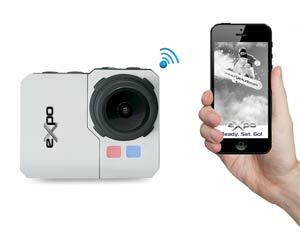 Use the included Wi-Fi remote to wirelessly snap pictures and record videos. The remote is easy to use and lets you capture the action with the press of a button. 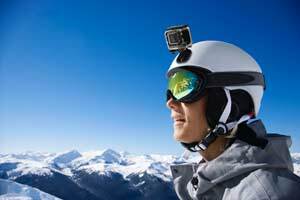 Show your audience some footage, and position the camera in the desired angle, while you record from a distance. Built-in Wi-Fi technology also allows you to connect the eXpo to your smartphone! Download the free 'Pyle eXpo' app to snap pictures and record videos with your smartphone or tablet. The eXpo connects to your device wirelessly and you'll be able to use it like a remote control. The 'Pyle eXpo app shows you a live preview of what your camera lens sees - It's like you're looking through the lens of the camera. Then it's easy, press a button to take a picture or record video. A protective flap reveals the Micro SD Memory Card Slot. You can also easily transfer your images and videos to your PC by using the included USB cable. 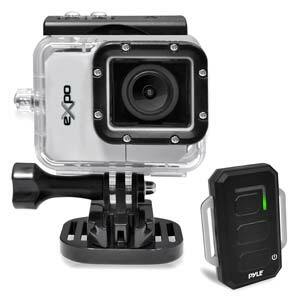 Pyle has made it easy for you to share all of your action-packed adventures. Show your family and friends or connect to social media and share with the world! 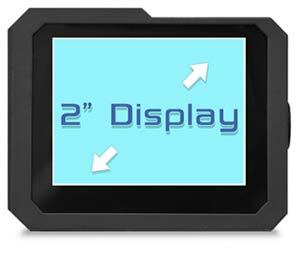 The eXpo features 2.0" inch Digital LCD Display so you can preview and playback your images & videos. Right after you capture some action, you can go back and watch the video or see the image right on the screen. Quickly scroll through all of your footage to see what makes the cut. You'll also be able to delete files instantly so you can keep memory space available. Connect the eXpo to your TV thanks to the HDMI Mini jack. Browse through all of the action you captured right on your TV. 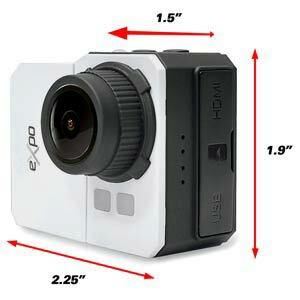 Choose between (5) video recording resolutions: 1080p, 1080i, 960p, 720p or 480p (Video Frame Rates: 60, 50, 30 or 25). Both PAL/NTSC modes selectable. Choose between (3) image capturing options: 20, 14 or 5 Mega Pixels (Resolutions up to 5152 x 2898 pixels). The eXpo comes with plenty of picture adjustment options and configurations. 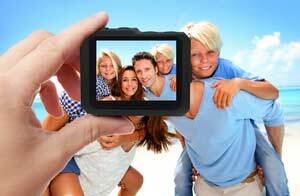 Camera features include self timers, burst shots, auto shooting, picture quality selection and adding date stamps. You'll also be able to change settings like light frequency, exposure metering, ISO, 180 degree screen inversion and more. The eXpo also features a Motion Detection Recording Mode that automatically beings recording once movement is detected by the camera wide-angle lens. 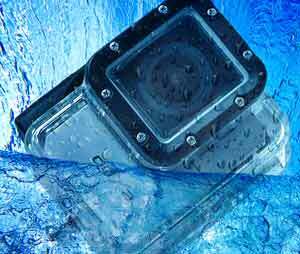 Use the Marine Grade Waterproof Case and record underwater in depths up to 190' feet. 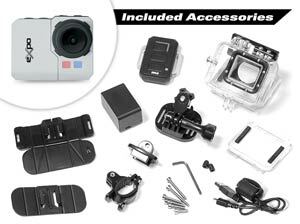 Kit includes (2) removable case doors (Waterproof & Noise-Reducing), USB charging cable, removable battery, Wi-Fi remote, Wi-Fi remote charging dock, bicycle mount and other fasteners/clip accessories. Download the Free 'Pyle eXpo' App: Snap Pics & Record Video with Your Smartphone! 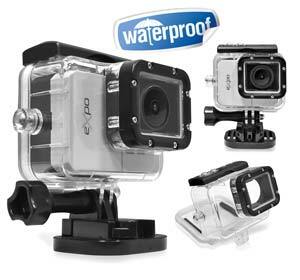 Marine Grade Waterproof Case - Battery Life: 1.5 Hours (1050mAh) - Size: 2.25" x 1.5" x 1.9"